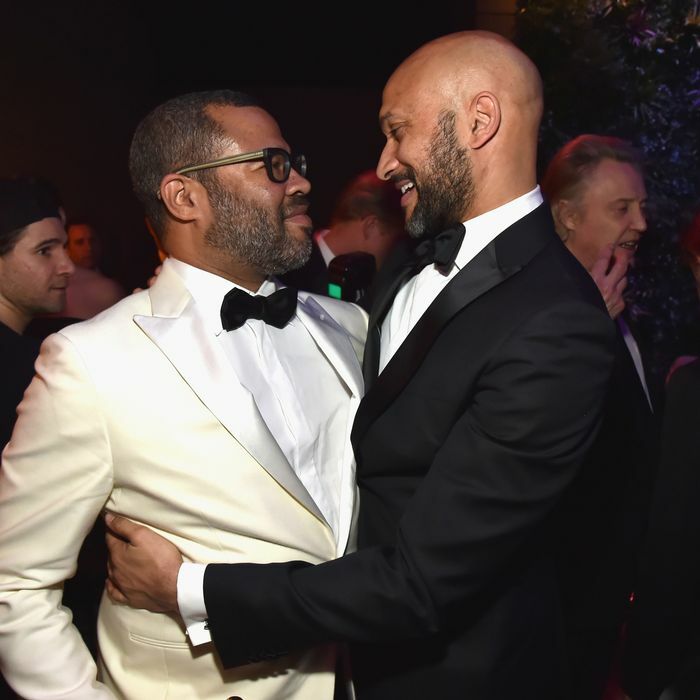 Not only did Jordan Peele make history at the 2018 Oscars on Sunday night when he became the award, he also received the best friend reaction to his award from his buddy and , Keegan-Michael Key. Although he didn’t attend the Oscars ceremony, Key watched it all go down at a viewing party. When Peele won his Oscar, Key was spotted jumping up on his chair with his arms above his head in a look of absolute joy. Key also appeared to havein pictures taken during Peele’s speech. Congrats to my partner in laughs on his first Oscar. .
Later, the pair were seen embracing at an Oscars after-party. No, I’m not crying, you’re crying (I’m crying, we’re all crying).